This is a riveting story of triumph against great odds and tragedies in the ivory tower. The author, once the Chief Medical Director of the Obafemi Awolowo University Teaching Hospitals Complex and the Vice-Chancellor of the Obafemi Awolowo University, Ile-Ife has told a gripping story in his compelling memoirs. The style and honesty in which it is told makes it a revelatory and poignant read. The story is set against a determination to succeed. 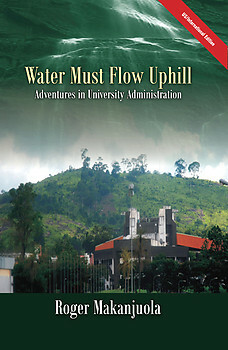 Spanning a period of about 15 years, the book gives an incisive insight into the challenges of managing tertiary institutions in Nigeria, most of which are still relevant today. It is an account of enormous energy, sincere and creative efforts, unalloyed commitment and love. They say every person has a book in him. This is mine. The book covers a major part of my working life; the period when I was the Chief Executive of the Teaching Hospital at Ile-Ife, Nigeria, and then the period when I was the Vice-Chancellor of the University in the same town. I recall with interest that when a while ago this column sought for names of a mere handful of Nigerians on whose account God should show mercy and spare Nigeria from "imminent destruction" he (Prof. Makanjuola) was one of the names that came up. ROGER MAKANJUOLA is a Professor of Psychiatry. He was the Chief Medical Director of the Obafemi Awolowo University Teaching Hospitals Complex, Ile-Ife, Nigeria from 1989 to 1997 and Vice-Chancellor of the Obafemi Awolowo University from 1999 to 2006. He was subsequently appointed President of the West African College of Physicians from 2007 to 2008 and Chairman of the Medical and Dental Council of Nigeria from 2010 to 2011.